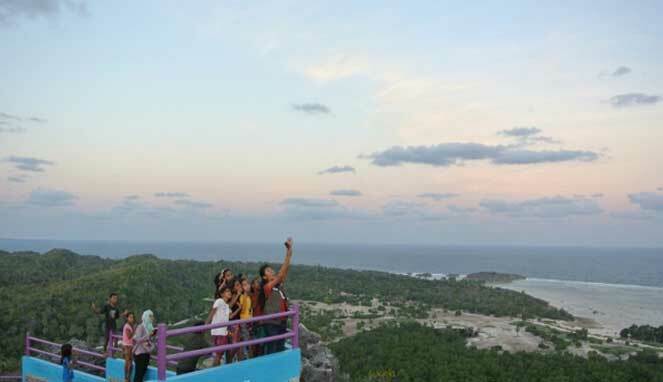 Enjoy the beautiful panorama of 300 Madao'o in Rote Ndao - Mando'o Hill is one of the main tourist attractions in Rote Ndao. In the Mando'o Hill Peak area, you can see the Beautiful Panorama of 300 Stairs with stunning views and panoramic views of the coastal area in the exotic Kuli Village. 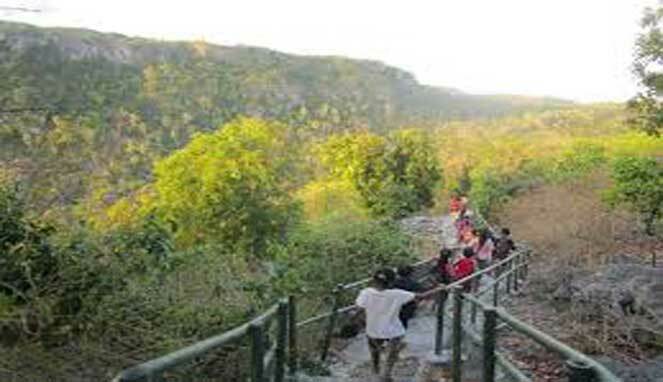 Panorama Indah 300 Mando'o Staircase is located in Kuli Village, Lobalain District, Rote Ndao District, East Nusa Tenggara Province, Indonesia. This place is a natural tourist spot that has a very stunning and amazing natural charm. To enjoy the beautiful panorama on this 300 Mando'o Stair you have to climb 362 steps so that this Tourism Object is called 300 Mando'o Stairs. Besides being able to enjoy Beautiful Panorama on 300 Stairs, you can also do Flying Kite sports activities, relax or take a photo with the enchanting green hill backdrop. Here you can also enjoy the beauty of the clear blue sea, cheerful blue sky and cool breeze. At dusk, you can also enjoy the beauty of the sunset from the top of the hill with its amazing beauty. 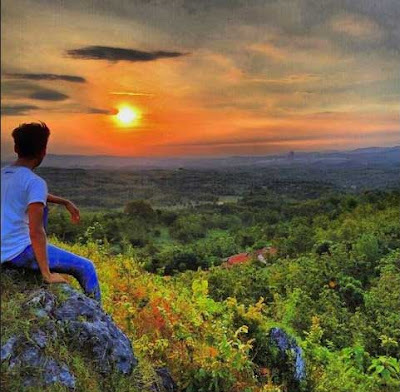 For vacation and Enjoy Beautiful Panorama 300 Mando'o Stairs it takes about 30 minutes by using a land vehicle using a travel car, bemo or renting a motorcycle taxi from Ba'a City, the Capital of Rote Ndao District. Culinary: There is no place to eat in 300 Mando'o Stair Objects, so it is hoped that you will bring your own snacks while heading to this tourist attraction. Accommodation: To find a place to stay, you can look for it in Ba'a City. Here there are Grace Hotels and Ricky Hotels as the Best Hotels in Rote Ndao at quite affordable prices.